Happy Head Massage in San Diego is putting their money where their mouth is. They know that selecting the right massage establishment for their customer’s massage needs is an important choice. Nothing is worse than spending time and hard earned money on a bad massage. That’s why at the Happy Head they are doing something that other massage establishments refuse to do. 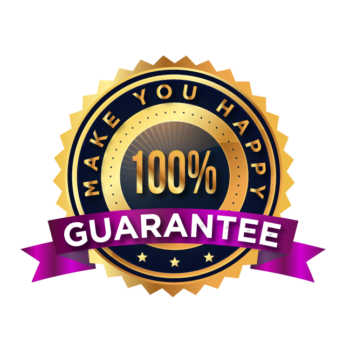 They know that customers always get a great massage without the spa price at Happy Head and they are backing up their words and actions with a Make You Happy 100% Guarantee. Happy Head Massage opened their first location located in the Hillcrest area of San Diego in 2011. Their main goal was to provide a great massage without the spa price. Customers over the years have loved their new approach to massage therapy and since then, the Happy Head has opened a total of 8 locations. Their most recent location opened in Carlsbad, California across from the Carlsbad Premium Outlets. They are open 7 days a week from 10am till 9pm. They never require memberships. They constantly look for the newest ways to provide a great experience for their customers. Their newest addition to Happy Head policies is the massage guarantee. The massage guarantee goes like this: If the customer decides during the first 15 minutes of their massage that they do not like the massage for any reason, all they have to do is tell the therapist to contact the front desk or they can directly tell the therapist that they would like a different massage therapist. The therapist will be replaced with a different masseuse to redo the massage from the beginning. Full details check out massage guarantee. Happy Head Foot Reflexology and Massage will continue to look for new ways to improve their services for their clients. Several months ago they introduce their new loyalty program which has been a big hit. Customers accrue points which they can use towards free and discounted services and products at Happy Head. They also recently introduced their awesome “Deal Of The Week” which offers a new deal every Monday morning. Happy Head Massage continues to find new ways to improve their customers experience. By listening to their customers demands, they continue to be the leader for massage therapy in San Diego.